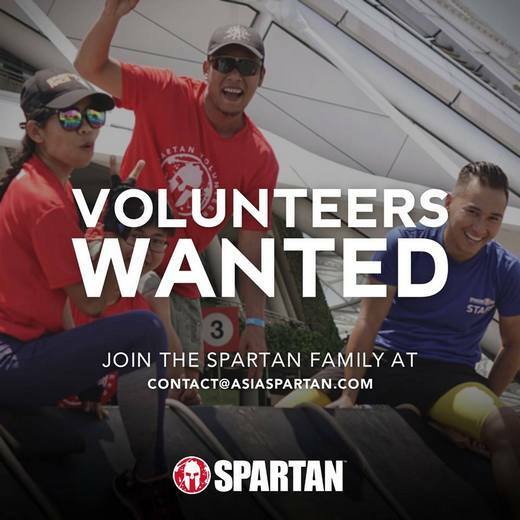 Spartan Singapore will be having their second race of the year on 27 April 2019 (Saturday), at Ang Mo Kio. If you’re interested in getting a behind-the-scenes look at how a Spartan event works, scoring exclusive swag, have a can-do attitude and have no qualms with working up a sweat, join the Spartan family! Volunteering at any Spartan Race is extremely rewarding and you don’t need previous experience to take part. *Depending on event, will be made known to volunteers during volunteer registration. Interested parties kindly fill up this form and a volunteer coordinator will revert shortly. You can find more information over at Instagram (@spartanracesingapore), Facebook page (facebook.com/SpartanRaceSG/) or website (spartanrace.sg).